In total, 53,034 supporters came together to watch that game, which is a tremendous example of the strength of the AFLW community and the passion that people have for women’s sport. It was a magnificent sight to see. 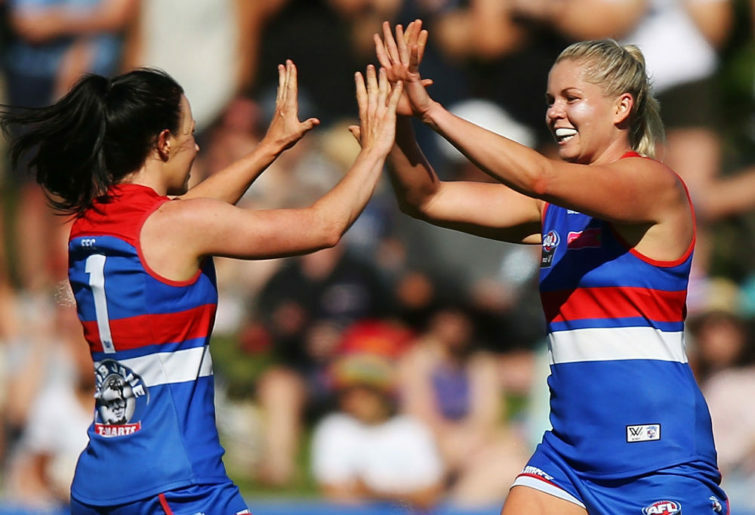 Given the joy surrounding the finale of the competition, it’s been challenging to watch some of the negative commentary this week during trade week, particularly about now former Western Bulldogs player Katie Brennan. In 2020, the AFLW competition will expand to include an additional four teams; the Gold Coast, Richmond, St Kilda and West Coast. With the addition of these four teams there was bound to be some player movement from the existing clubs to the new clubs. I have a feeling the movement has only just started. This is positive. An important part of ensuring that women’s sport continues to grow is that the games are exciting to watch and that there is a level of comparable talent across all the clubs. If the new clubs were forced to start from scratch, potentially they would have trouble competing against the established clubs who have squads that have had the benefit of playing together much longer. By spreading the talent, I’m more confident in the quality of the games we will see next year. But not everyone has seen it that way and social media certainly weighed in when it was announced that Katie, who captained the Bulldogs in season one and two and co-captained them with Ellie Blackburn this year, would join the Tigers on a two-year deal starting next year. Some came out and accused Katie of chasing the money. This is laughable and is a fundamental misunderstanding of how the AFLW works. In 2018, AFLW total player payments increased from $2,275,000 in 2017 to $2,752,000. This excludes ambassador contracts and rookie upgrades. But the players all essentially earn the same amounts, with players being split into three tiers. Tier 1 players are paid $20,000, tier 2 players are paid $14,500 and rookie list players $8,500. Clubs can also spend up to up to $40,000 on two or more ambassador contracts worth between $5,000 and $10,000. What this means is that it is extremely unlikely that Katie made a decision to go to Richmond based on money, given that players are on similar rates of pay and given that I don’t think Katie’s tier will have changed during her switch. And even if she did go for the money, so what? In a competition where women are still juggling work, families and other commitments with their football commitments, every dollar counts. We have seen women make tremendous sacrifices to participate in this competition – some moving states and some using up all their leave to take time off work to be able to compete. Not to mention the sacrifices made by many of these trailblazing women who remained committed to footy back in the days when AFLW did not exist. It’s this tremendous sacrifice which makes it hard for me to understand why others would question Katie’s loyalty and suggest that she has stabbed the Bulldogs in the back with this decision. 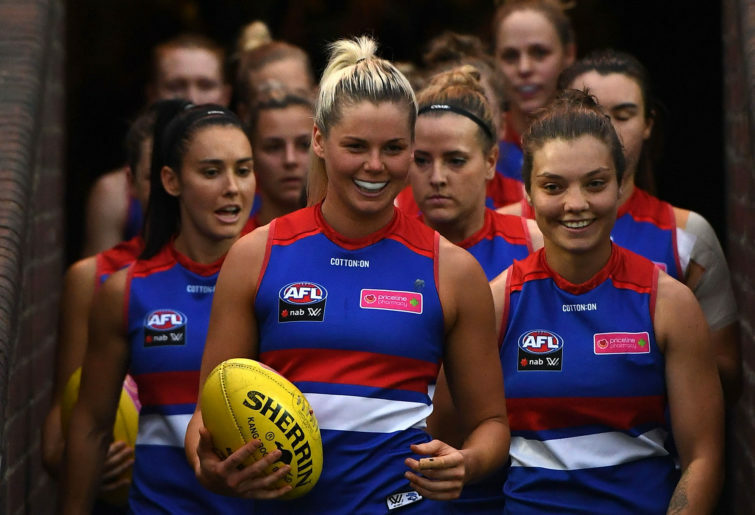 I understand that Katie has had some challenges during her AFLW career and that the Bulldogs have stood by her. Katie sat out the inaugural season with an ankle injury and was unable to play in the grand final. This is a woman who has sacrificed plenty to play for the Bulldogs and played with her whole heart. We should be thankful for this contribution instead of begrudging her decision. We have no idea why Katie has made this decision. Perhaps where Richmond train will be closer to her work or to her home, easing some of the demands which time places on these players. Perhaps she did just want a fresh start. But to assume the worst of Katie because she has made a decision in her best interests is unfair. As human beings, many of us take for granted the opportunity to change jobs and move from organisation to organisation. I understand that because our sports stars represent clubs we love, it can be very hard to see them go. But athletes have the same right to make choices that are best for them as we do. So for now, we should all thank Katie for her efforts at the Bulldogs, wish her all the best for her new adventure at the Tigers and recognise her tremendous contribution to the AFLW.